Tradition says the lion, bear, and leopard of Daniel 7 are Babylon, Media/Persia, and Greece. This is based on old theology and commentaries that tried to make sense of the world as they saw it then. But now we can see the modern-day world and what the prophecies say about it accurately because we are now in the end times. If it were true that Daniel 7 is ancient Babylon, ancient Media/Persia, and ancient Greece, then it is nothing more than a repeat of Daniel 2 – Nebuchadnezzar’s dream of the great image. But this is not true. They are separate because Daniel 2 deals primarily with an image of ancient nations, but the symbolic animals of Daniel 7 are dealing with modern times, which I will prove in this article. Daniel 7 is something we need to understand for today because we are living in the days of the lion, bear, and leopard. We need to understand that the bear, Russia, is on the move! Daniel 7:12 KJV As concerning the rest of the beasts, they had their dominion taken away: yet their lives were prolonged for a season and time. Therefore, the lion, bear, and leopard kingdoms must still exist during the reign of the Antichrist. This is what makes us look at modern nations to be considered rather than ancient Babylon, ancient Media/Persia, and ancient Greece. Babylon no longer exists as a nation. Media/Persia no longer exists. Greece exists but it is in an economic down-spiral. If being prolonged “for a season and time” applied to ancient Babylon, Media/Persia, and Greece, then all three would be prolonged for the same time, but two are gone thousands of years ago, and one remains. Therefore, this verse cannot apply to these ancient nations. It must apply to nations that exist during the time of the Antichrist’s Kingdom all the way until the Coming of Jesus. Someone may object and say ancient Babylon is the people of modern-day Iraq and Ancient Media/Persia are the people of modern-day Iran. But Daniel describes the beasts as kingdoms, not peoples. Then you also have the problem of explaining why thousands of years of existence for the peoples of Iraq and Iran is explained as only “prolonged for a season and time,” an obvious reference to a short duration. Notice the lion, bear, and leopard “shall arise”. Daniel is under the Babylonian king when he had this vision. Therefore, this proves that the first beast mentioned is NOT ancient Babylon, because it was already risen and at the height of its power during Daniel’s time. In Daniel 2, when he spoke of the image with the head of gold, arms of silver, mid-section of brass, legs of iron, and feet of iron and clay, he clearly says the golden head is the current kingdom of Babylon. But Daniel 7:17 says all the kingdoms are yet in the future relative to Daniel’s time. Revelation 13:1-3 KJV And I stood upon the sand of the sea, and saw A BEAST rise up out of the sea, having seven heads and ten horns, and upon his horns ten crowns, and upon his heads the name of blasphemy. (2) And the beast which I saw was like unto a leopard, and his feet were as the feet of a bear, and his mouth as the mouth of a lion: and the dragon gave him his power, and his seat, and great authority. And I saw one of his heads as it were wounded to death; and his deadly wound was healed: and all the world wondered after the beast. Notice our beasts are again mentioned in Revelation 13, modern end times. Especially notice that these beasts are ONE BEAST this time, implying they somehow together make up the final Kingdom of the Antichrist, yet one head in particular will the rule all of the others – known as the dreadful beast. When you count the heads of Daniel’s beasts you get 7 (1 – lion, 1- bear, 4 – leopard, 1 – dreadful beast). Revelation 13 shows the same 7 heads. There are seven heads yet one beast. This one beast has all of these kingdoms, the lion, bear, and leopard, within it in the end times. Revelation primarily deals with the time of Christ’s Second Coming and these beasts are, therefore, all present at Christ’s Second Coming, unlike ancient Babylon, ancient Media/Persia, and ancient Greece. Not to mention, a single beast kingdom consisting of Iraq (sunnis), Iran (shia), and Greece just sounds untenable no matter how you look at it. Revelation chapters 12-14 are a single vision starting with Christ’s birth and ending at His Second Coming at Armageddon. Christ was born after ancient Babylon, ancient Media/Persia, and ancient Greece, yet the lion, bear, and leopard arose after His birth in chapter 13. Therefore, the lion, bear, and leopard are nations that arise sometime after Christ’s birth but before His Second Coming. Dan 7:3-6 KJV And four great beasts came up from the sea, diverse one from another. (4) The first was like a lion, and had eagle’s wings: I beheld till the wings thereof were plucked, and it was lifted up from the earth, and made stand upon the feet as a man, and a man’s heart was given to it. (5) And behold another beast, a second, like to a bear, and it raised up itself on one side, and it had three ribs in the mouth of it between the teeth of it: and they said thus unto it, Arise, devour much flesh. (6) After this I beheld, and lo another, like a leopard, which had upon the back of it four wings of a fowl; the beast had also four heads; and dominion was given to it. Image taken from http://kenraggio.com/KRPN-Four-Beasts-Of-Daniel.html who also has excellent material on this subject. Because these beasts are symbols and the Bible did not give us the names of these kingdoms like It did in Daniel 2, the interpretation of these symbols is open. Therefore, one cannot say with absolute certainty what these symbols mean. However, as more of the end time scenario comes to pass, we will be able to the interpret the symbols more clearly. I believe we have enough of the end time players on the board to make the following conclusions. The first is the lion, which is Great Britain. The modern-day symbol of Great Britain is a lion. Great Britain came into being officially in 1707. Great Britain was once the major world power, having power over 1/5 of the world’s population. At their height, they were the largest empire in the world and held power for over 100 years. They were known for having a superior navy. But then their zeal to conquer and colonize the world waned and they went from being a voracious lion to having the heart of a man, which is more sensible and restrained. What other evidence is there? Consider that the lion has eagle’s wings that were removed. What nation has an eagle as its symbol? The United States, of course. The United States separated from Great Britain about 250 years ago in 1776. The bear is the second beast which arises after the lion. A bear is a modern-day symbol of Russia. 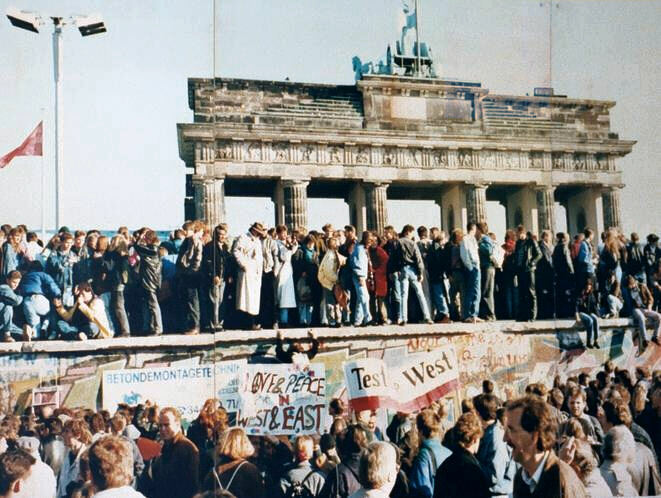 When the Berlin Wall came down, modern-day Russia was reborn in 1991. However, it is really a rebirth of the Russian Soviet Federative Socialist Republic originally birthed in the October Revolution of 1917. Russia is well known for its ability to devour much flesh as leaders like Lenin and Stalin killed several million people. The bear is raised up on one side with three ribs in its mouth. These three ribs may be the nations the final end-time Russia will conquer in an attempt to gain back former Soviet republics that it once held, such as Ukraine and two unknown others. So we can predict that Russia is on the move to take two more former Soviet republics which will cause a great deal of tension with the West. However, I believe that the West may put up little resistance once a catastrophe takes place like nuclear WWIII. The leopard is the next beast mentioned in Daniel 7. A leopard is not the official symbol of Germany. An eagle is the modern-day symbol of Germany. However, the eagle symbol in these prophetic passages has already been used almost certainly to describe the United States. So how can one learn who the leopard is? We have to look more closely at the passage. It says this leopard has four heads. So there must be four distinct kingdoms within this one kingdom. It also says it has the wings of a fowl. Therefore, another kingdom is associated with it. Germany seems to fit best as being the leopard because of their ferociousness at war like a leopard on the hunt. 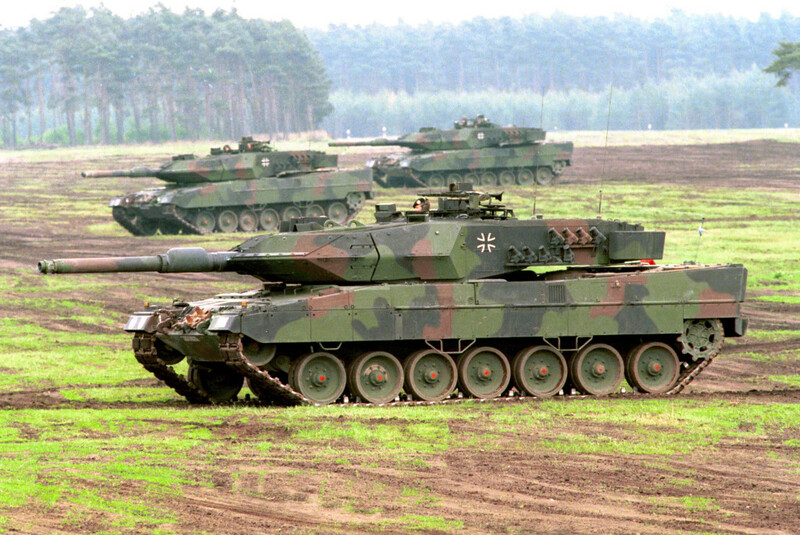 In fact, Germany’s tank, that nearly helped them win WWII, is called the Leopard. The four heads are the four reichs (German for “empires”) of Germany. The First Reich was the Holy Roman Empire first ruled by a Frankish king Charlemagne (800 – 1806). The Second Reich was the German Empire under Otto Van Bismark (1870 – 1919). The Third Reich was Adolf Hitler’s rule (1933 – 1945). The Fourth Reich seems to be the European Union (1958 – present), an entity almost entirely held up and controlled by Germany and France. The Germans have a strong alliance with the French as the key players of the European Union. France’s national symbol is a rooster, hence the wings of the foul prophecy is fulfilled when these two nations come together. All of the reichs were/are attempting to unite Europe under one government and religion. They are attempting to recreate the original Holy Roman Empire which held so much power for over 1,000 years. The fall of the Berlin wall united East and West Germany into one nation again (and incidentally created modern-day Russia). This resurrection of Germany was prophesied in Revelation as the head that had the mortal wound but lived. Rev 13:3 KJV And I saw one of his heads as it were wounded to death; and his deadly wound was healed: and all the world wondered after the beast. Germany was mortally wounded as a nation and was thought to never recover after WWII, uniting East and West Germany. But we know that it did happen which created the New World Order. The New World Order, when fully grown, I believe will unite the West (Europe in particular) with the East (Russia in particular) under the banner of Socialism for “forty and two months” (Revelation 13:5) through the United Nations. This is the final dreadful beast that the Antichrist will rule. Europe right now is being prepared to choose between Islamic invaders and terrorists, like ISIS, or Russia. Both “radical” Islam and Russia are evil, but they will choose what they deem to be the lessor of the two evils. They will choose Russia to help push back “radical” Islam. Revelation 13:1 says a single beast will rise up having seven heads. That tells me the lion, bear, and leopard beasts, which historically may have been in opposition to one another, will unite to create the Antichrist Kingdom – the final dreadful beast. In other words, Great Britain, the European Union, and Russia will unite for a short time. It is no wonder all the world will wonder after the beast and say, “Who could make war against it?” Through the U.N., ten world leaders will carry out WWIII against “radical” Islam which will kill one-third of humanity. Afterward, they will turn their hatred toward the Jews and Christians as they are propelled toward Armageddon and being destroyed by the coming of Jesus Christ. I agree with you that Daniel’s 4 beasts are future. I do have a few questions though. 1. )Why do you say the 4 wings are France just because their national symbol is a rooster? I have/had many roosters and I can assure you that not one of them has ever had 4 wings or 2 sets. Others say the 4 wings represent Italy and Japan who were part of the Axis powers. I think that is a much better fit. Besides, the wings are absent on the compiled beast of Revelation 13. Is it not more likely that the 3 ribs are Churchill, Stalin and Roosevelt? I know you said “may” as in you are not sure, but Daniel 7:5 says: And behold another beast, a second, like to a bear, and it raised up itself on one side, and it had three ribs in the mouth of it between the teeth of it: and THEY said thus unto it, Arise, devour much flesh. It appears that the 3 ribs are the ones giving the order to devour much flesh, thus not nations that Russia may attempt to get back. 3.) Why do you assume the 7 heads on the compiled beast are the same 7 heads of the 4 beasts? I think they are the 6 previous kings/mountains/heads noted on the scarlet beast of Revelation 13, plus the future 7th head. I will explain what I mean. Revelation 17 is showing you that the woman (Babylon) has dwelled/sits or will dwell/sit with all 7 heads (Assyria, Egypt, Babylon, Mede-Persia, Rome and the 7th future kingdom. These seven heads are the same 7 heads of the Revelation 13 beast. No crowns are to be found on any heads or horns of Revelation 17. The 7th head, along with the other 6 are all crowned in Revelation 12. This shows you that the completion of the 7 heads has ended, they have all been crowned. No crowns could be shown until the last received his. This also shows that Satan is the one who gives these kingdoms the right to rule, even though in reality it is God. Revelation 13 now shows the 10 horns have crowns, signifying that they have received their kingdom and have given their power, strength and kingdom to the beast because God wills it so. In Daniel 7 it says the little horn uproots/subdues 3 of the first/former kings which causes them to fall. I believe that there were 13 horns all together, the 3 he uproots/subdues are the lion, bear and leopard. When the angel says they had their dominion taken away, I think he is referencing that point in time when the little horn uprooted/subdued them causing them to fall as a superpower. However, they will have their lives prolonged for a season and a time which I think is after Satan is loosed at the end of the 1000 years. They are the people/nations of these former 3 kingdoms that will surround the holy city that God devours with fire. If he had uprooted/subdued 3 of the 10 horns, then why are there 10 horns still on the beast in Revelation 13? These 10 kings will hate and destroy the woman Babylon, not 7 kings. The lion, bear, and leopard do appear as part of the final 7 headed, 10 horned, leopard bodied, bear footed, lion mouthed beast with Apollyon ruling. Whether the little horn absorbed their kingdoms or took on attributes of them, I do not know for sure. What I feel I do know is the 7 heads on the Revelation 13 beast should not be counted as the heads of the lion, bear and leopard, but rather that they are just a continuation from Assyria to the final kingdom in our day. 1. The Bible says it is the wings of a “fowl”. There has never been a fowl of any kind with four wings. So the point is not as much to find a literal four-winged animal to compare it to, but rather to discover what is the composition of the wings based on what the passage tells us and what we see in the world today. As far as applying the wings to Italy and Japan, I might agree if we lived in the era of World War II but that time has passed and those countries are currently not in a place of power to create a New World Order. However a Franko-German alliance certainly fulfills the prophecy much more accurately and is what we see as the major power of the E.U. today. The wings may be absent in Revelation 13 or may simply not be mentioned. Either way, Germany, the leopard head, is the real powerhouse of Europe and one of the main characters of the Beast. France just plays a supporting role. 2. Concerning the three ribs being Churchill, Stalin and Roosevelt, again if it were WWII I may consider some of the leaders of the world during that time a viable possibility but it is not. Stalin is from Russia so the bear (Russia) would not have his own rib in his mouth. The New World Order began as a result of WWII but it was only its infancy for the next 50 years, until the Berlin Wall came down. I do not see the ribs giving orders; they are in a place of complete defeat and about to be destroyed in the bear’s mouth. 3. A comparison of Daniel 7 and Revelation 13 proves they are the same heads and the same beast, particularly the verse: Revelation 13:2, “And the beast which I saw was like unto a leopard, and his feet were as the feet of a bear, and his mouth as the mouth of a lion: and the dragon gave him his power, and his seat, and great authority.” These are the same mentioned in Daniel 7:4 – 7:6. In your scenario, you are changing the heads of the beasts of Daniel 7 into horns in Revelation 13. That would make the bear of Daniel 7 into Medo-Persia. And you believe they (Persia/Iran) held Churchill, Stalin, and Roosevelt in it’s mouth in Revelation 13??? That doesn’t make sense to me.